According to the San Antonio Board of Realtors, monthly housing reports in our south TX city continue to show steady growth and rising values. In May 2016, 2800 homes were sold, which is a 10% increase over May 2015. Also, May 2015/May 2014 saw a 9% increase in home sales over a year ago. The average selling price of a house in San Antonio today is $249,000, with a median price of $209,000, which is up three percent from a year ago. The average price of San Antonio homes sold in May 2015 increased 10% from a year ago. 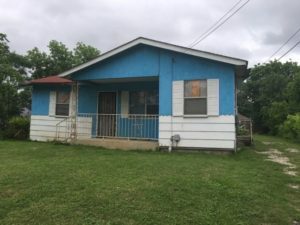 In April, San Antonio houses that are less than $200,000 were more than half of what was sold in the city. In May, 48% of the market involved houses that sold between $200,000 and $500,000. San Antonio’s growth is higher than Texas’ overall, but the city is still a very affordable place to both live and invest. The average home price here of $249,000 is far less than the Texas average of $271,000. Meanwhile, the city’s commercial development continues to grow strongly. A May 2016 report by Marcus & Millichap’s Retail Research Market Report found that the retail vacancy in San Antonio has reached an all time low. There also has been limited new retail construction, so the trend of increasing occupancy and rising rental prices will continue to have an affect on the commercial market. The employment base of San Antonio will grow at a healthy 2.5% clip for 2016, which should contribute to the rising demand for various retail businesses from grocery stores to service companies. Exit Strategy: Rent San Antonio investment property with 15K in repairs: $850-$900 per month — or Owner Finance with 15K repairs: 5k down, $900.00 monthly P/I, 30 year amortization, 10% interest, Price: 89K.